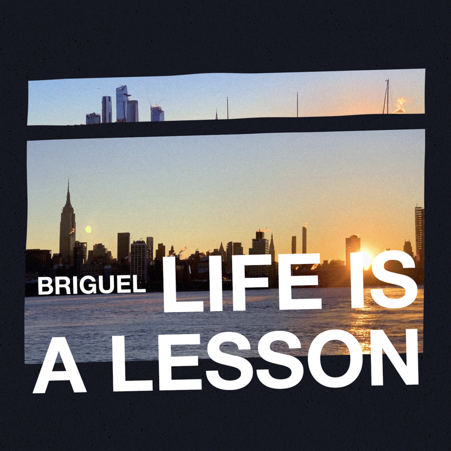 From NYC comes an indie rap-electro pop duo that goes by the name of BriGuel and they deliver the goods with their latest gem, “Life Is A Lesson”. With this track, the couple bring electro pop and rap together and through synth-filled melodies they caress the bittersweet feeling that comes to us after taking a good look at what our world has come to. But there’s more than meets the eye as the story in the lyrics evolves and gives us hope for what’s to come after this sad period in life. There’s always a tomorrow and always a reason to move forward and leave things behind as life is waiting for you and there’s something ahead. While it might take time to get rid of the evil in this world, the memory of it becomes dimmer and dimmer as you drive up to something waiting for you in the future. So smile, get into your car and go explore this beautiful world. Life’s lessons are waiting for you on every corner.